Back in high school, I remember my English teacher giving us a list of all of the classic books that we were going to read that year including: To Kill A Mockingbird, Of Mice and Men, 1984, Great Expectations, The Scarlet Letter and the Great Gatsby. The best part about that last statement is that I said “I remember my English teacher giving us a list.” I couldn’t tell you hardly any of what was in those books other than the fact that Big Brother is always watching, Lenny likes petting rabbits, and Mrs. Havisham was really creepy. How is it that I don’t remember anything else? You guessed it – I didn’t read any of the books assigned. Back in the 90’s, a high schooler’s best friend was “Cliff’s Notes,” a general overview of all of these books that someone else read and paraphrased for me. As long as you didn’t copy word for word, you could expand on the ideas that were there and get a half way decent grade if you had any skill of wordsmithing. I know that one day I am going to regret not fully reading those books, but they served a purpose at the time and allowed me to take the next step. Paddy rice flows best at 50 degrees or more. Husked rice flows best at 37 degrees or more. The bulk density of rough rice = 36 lbs/cubic foot. 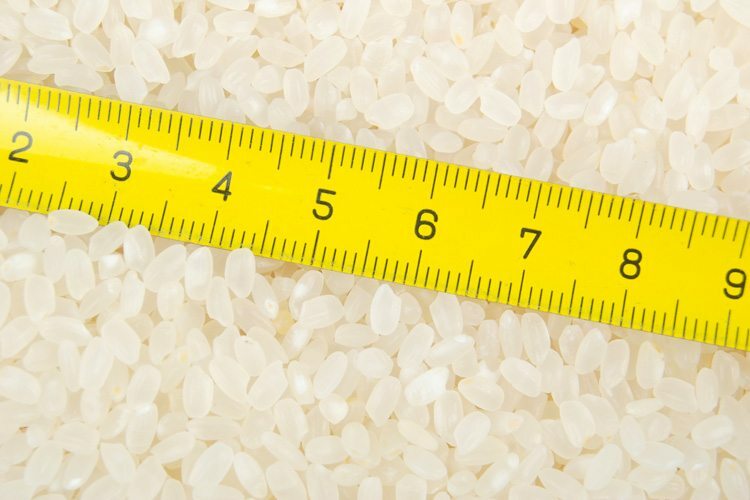 The bulk density of husked rice = 48 lbs/cubic foot. 1 bu (bushel) of husked rice = 60 lbs (pounds). Approximately 20% of the weight of the rice kernel is the husk. Approximately 10% of the weight of the rice kernel is the bran. Just like Cliff, I’m sure that there are some additional details that I left out that you might have to fill in the blanks with, but this list will give you a good start. Use this quick reference as you wish and don’t worry, there will be no rice milling metrics pop quizzes later.